Theme: Make hate crime visible – Report Racism! 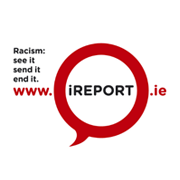 The Irish Network Against Racism (ENAR Ireland) produces an online calendar for European Week Against Racism. We publicise events and recognise the excellent work in anti-racism undertaken in Ireland. If you’re organising an activity for the European Week Against Racism or the International Day Against Racism, send us the detail via email for inclusion in our calendar.